A lifestyle blog, with lots of photography, creating and pretty things. 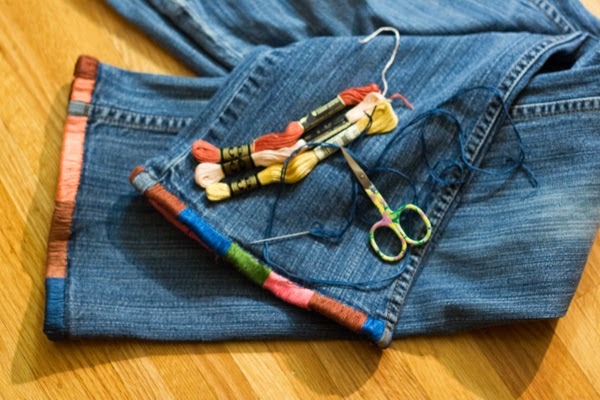 I used my stash of embroidery floss and wrapped the bottoms of each pant leg. 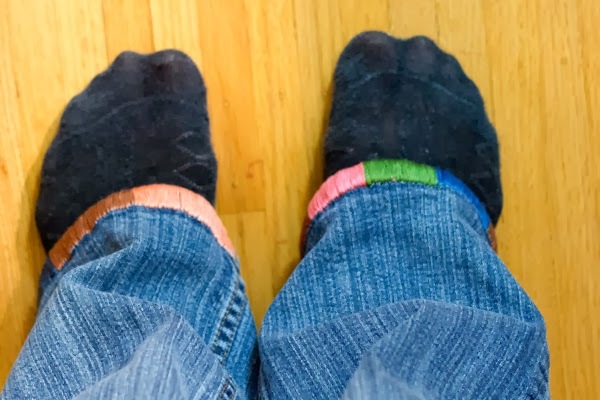 I doubled-up the floss while sewing to give a sturdy, full coverage. It took 2 evenings (a pant leg per The Tonight Show with Jimmy Fallon). I left the nubby part where the seam is blank as I was sewing by hand and didn't want to break my needle, there was no fraying on that part anyway. You can see the "blank" part in the above photos. Next time, I will use less colours but nonetheless, I am happy with how they turned out. 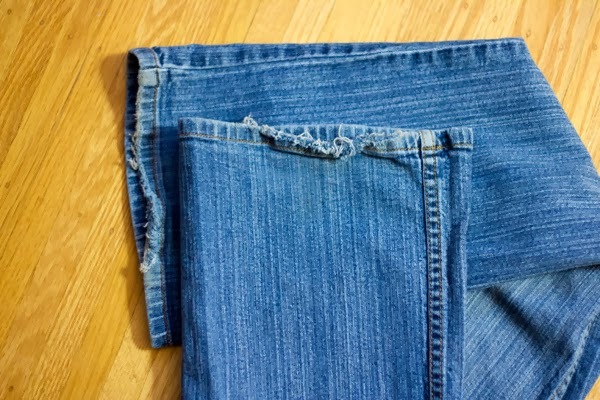 Hurray for breathing new life into old jeans (that fit)! 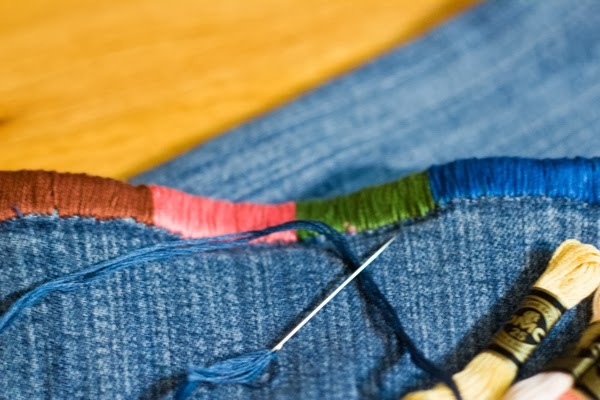 Do you have any creative uses for embroidery floss? 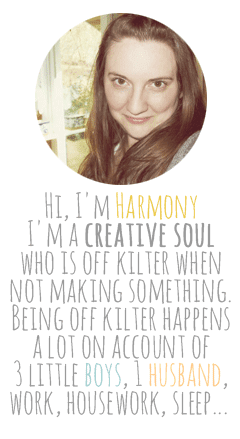 This is SO COOL, Harmony!! I love the happy look of the jeans now. I bet these will put a lot of smiles on people's faces. Love it!! Thanks Gabi, I am pleased with how they turn out. I am going to wear them to my job site tomorrow! what a cute DIY. and I love how it adds a little something extra. Copyright © Harmony Cornwell 2008-2015 | All rights reserved. | Thank you for visiting.